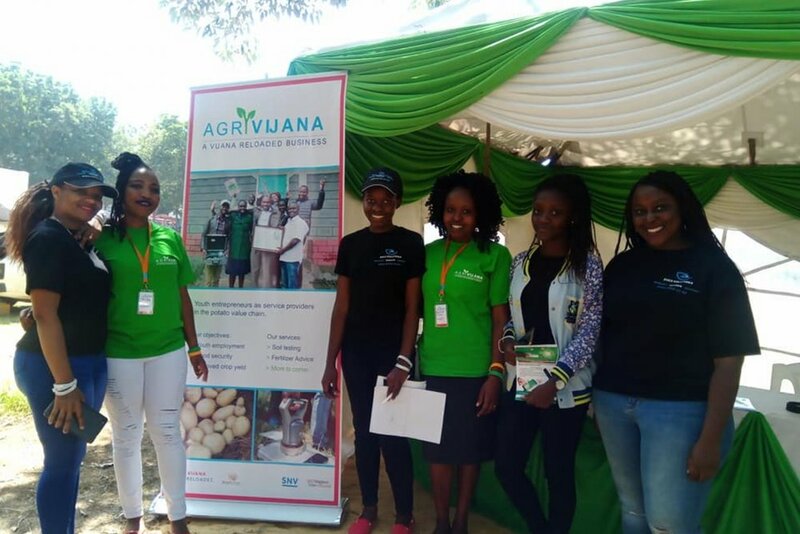 Based on the field research phase and advise from SNV the opportunity was identified for rural youth to provide services specifically tailored to the needs of potato farmers. Potatoes are the second most important food crop in Kenya, grown by 800,000 smallholders, on 158,000 hectares. It is grown on highlands and major potato growing counties in Kenya are Nyeri, Nyandarua, Meru and Nakuru. In Nakuru mainly in the Mau escarpment including Molo and Njoro sub counties. Potato has a growing cycle of 3 months and can therefore be grown 2-3 times per year, allowing for opportunities for services several season per year to farmers. The potato industry in Kenya is under developed and unorganized compared to other staple food crops in the country such as maize, rice and wheat. There are many opportunities for improvement of the value chain and this is a strategic focus of the Kenyan government as well as of Nakuru county. Envisioned value for the key stakeholders.